As always, May your hands work be blessed and your fiber work be fulfilling! 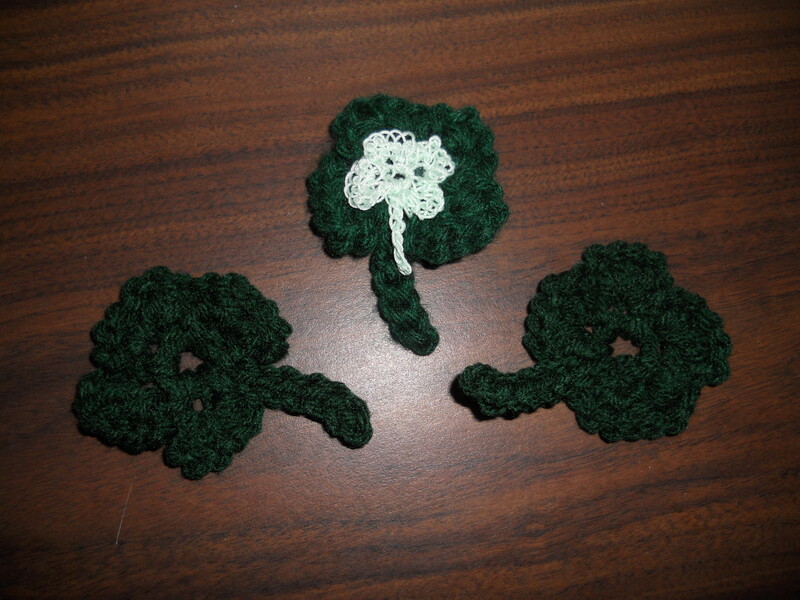 Materials needed: Small amount of worsted weight green yarn, size H hook, pin backing. Stem: ch 7, sl st in 2nd ch from hook and in the next 5chs, sl st into ring and fasten off. Have a Happy St. Pattys Day!! !